Safety is our top priority and the cornerstone to everything we do at Trans Mountain. In more than 60 years of operation, we’ve never had a storage tank fire at one of our terminals. Although tank fires world-wide are extremely rare, our prevention and emergency management programs are an integral part of keeping our terminals operating safely. Trans Mountain’s facilities are designed and operated to industry best practices and meet the most stringent fire safety standards. These measures include early detection and fire suppression systems, operational procedures to reduce possible risks, training exercises, site-specific fire pre-plans, regular National Energy Board (NEB) audits, and compliance with the American Petroleum Institute and National Fire Protection Association (NFPA) standards. We have a number of additional safety measures at the Burnaby Terminal, such as an advanced on-site fire suppression system, 24/7 monitoring for early fire detection of all floating roof storage tanks, and adequate spacing as set out by NFPA and the National Fire Code of Canada. As part of our ongoing commitment to safety and emergency preparedness, our emergency response plans are continually reviewed, revised, practiced and shared with first responders all along the pipeline system. And, we continually assess new and emerging technologies to ensure we are applying best practices to protect our pipeline and terminals. At the Burnaby Terminal, the fire protection enhancements include a larger fire-water reservoir, new high capacity fire-water pump and foam systems, early fire detection systems, remote-activated fire suppression systems, and a mobile firefighting system that includes a foam trailer, cannon and firefighting equipment. 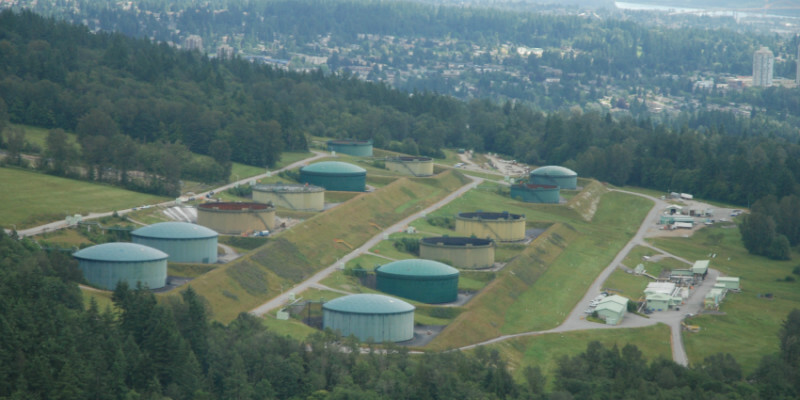 On March 1, 2017, Trans Mountain submitted an updated risk assessment for Burnaby Terminal. The assessment was prepared by Genesis Oil & Gas Consultants, technical experts who are certified to provide professional, unbiased, and technically sound advice. They have a responsibility to provide technical recommendations that are safe for the environment and the public. The report concludes the fire risks at Burnaby Terminal are extremely low and in accordance with the criteria set out by the Major Industrial Accidents Council of Canada. It also states that through design, mitigation measures and emergency procedures, the risks associated with the expansion are reduced significantly. There is nothing more important than the safety of our neighbours, the community and our employees.